While there have been no major changes to the Fringe Benefit Tax (FBT) rules for a number of years, since it affects most businesses to some degree, a timely refresher is in order. The liability to pay FBT is dependent on the existence of an employment relationship. A benefit is not a fringe benefit for FBT purposes unless it is provided or granted by an employer to an employee “directly or indirectly, in relation to, in the course of, or by virtue of the employment of the employee”. 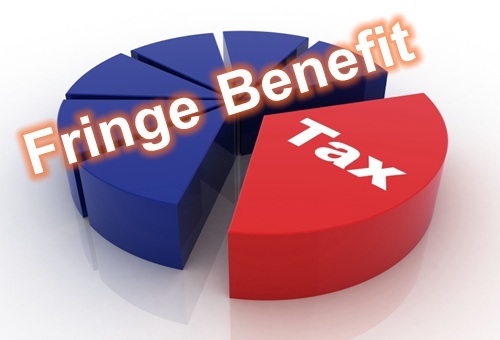 The FBT rate payable is tiered depending on the gross salary and value of fringe benefits provided to the employee. FBT returns are required to be filed on a quarterly basis but where an employer meets certain criteria they may file on an annual basis. There is a general exemption of $300 per employee per quarter for free, subsidised or discounted goods and services but if the value of benefit exceeds $300 per quarter, FBT is payable on the value of all the benefits including those below the threshold. The exemption is limited to $22,500 for all employees per annum. In order to reduce compliance costs, advances made against salary or wages to employees are exempt from FBT provided the outstanding balance on the loan is not more than $2,000. It’s more common now for an employer to provide business tools such as mobile phones or laptops to employees for business purposes. These items will not be subject to FBT provided the value is not more than $5,000 and they are used mainly for business. A fringe benefit arises when an employer makes a motor vehicle (either owned, leased or rented) available to an employee for their private use. employees by third persons with whom the employer has entered into an arrangement. Even very profitable or asset-rich businesses have failed because of poor cashflow. It can be easy to focus all your energy on simply making your business profitable. While making profit is important, it is equally or in many cases, more important that you focus on making your business cashflow positive. Explained below are the differences between cashflow and profit, and the importance of cashflow together with some strategies to improve yours. Profit is simply the net difference between the total revenue and total costs. Tax is paid on profit. can come straight from retained profits, your overdraft, or some other finance facility. Your cashflow determines your ability to pay your bills on a regular basis. A positive cash flow exists where the timing of cash into and out of the business is sufficient to meet those obligations. The bottom line is that if you cannot pay your creditors, they may refuse to supply goods and services. Listed below are some ways to address cashflow concerns. Invoice immediately As soon as the job is finished, issue the invoice. For jobs that may take an extended time, negotiate with your customer for progress claims to be made. Insist on payment immediately An easy way to avoid having to wait for payment is to request a payment on completion of the job on the agreed terms. Prepare the invoice earlier or take your invoice book with you when working. Hand over the invoice right then and there and ask for payment while you are with the customer. Make sure you inform your customers that payment on completion is a term of the contract. This has two benefits, it will ensure an excellent cash flow, and if a customer is reluctant to agree, then you are able to “weedout” problem accounts. Get deposits If you have to purchase large amounts of materials at the start of a job, then negotiate a deposit from the customer to pay for those materials, preserving your cash flow. Let customers pay by instalment Customers also have cash flow problems, and may not have sufficient cash to pay your entire bill at once. Perform credit checks Good cashflow comes from having good customers. Credit checks from independent agencies, and trade references from others within your industry, will enable you to develop a client base of good customers. Use barter instead of cash You could reduce the strain on your immediate cash if you need goods or services from someone and can barter goods or services of your own in return. Consider consolidating your loans If you have several business loans or related loans such as cars, equipment, credit cards etc, you may be able to consolidate two or more of these into one lower interest account. This should reduce your total monthly payments, reducing the pressure on your cash flow. Note: you will still have to pay the total; it will just be over a longer term. Sell for cash or credit card Do this, if your industry practices permit. Add late payment charges, fees, or interest, when possible. Pay bills only on their due date It may be that you are paying your bills sooner than you are getting paid which can cause problems. Pay only on due date (or later if possible) unless there is a discount for early payment. Spread payments Make payments to suppliers throughout the month. Reduce stock If it is possible, only carry the most necessary items. Have a sale If you have obsolete, excessive or slow-moving items, have a sale and move them on. Lease This can be a significantly cheaper than purchasing and can ensure you always have up-to-date equipment. Look at selling to the general public You can do this particularly if you have traditionally only sold to the trade. The public will expect to pay for goods and services immediately. Give a discount for prompt payment Many customers will pay early for a small discount. Have a firm policy on discounts, to whom it is offered to and its expiry as some customers will take the discount even if they don’t pay on time. Also, monitor discount levels to make sure you are not giving away all of your profit. Important: This is not advice. Clients should not act solely on the basis of the material contained in the Client Newsletter. Items herein are general comments only and do not constitute or convey advice per se. Changes in legislation may occur quickly. We therefore recommend that our formal advice be sought before acting in any of the areas. The Client Newsletter is issued as a helpful guide to clients and for their private information. Therefore it should be regarded as confidential and should not be made available to any person without our prior approval. 02/2016.